Whey proteins present a problem because there are so many options but so little information on which ones are good, great, or garbage. 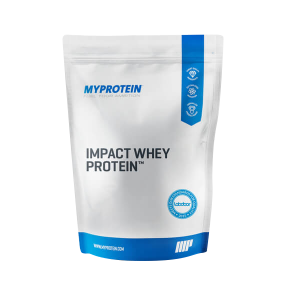 Impact Whey Protein Blend and the Whey Isolate Protein by Myprotein high quality whey proteins from a reputable supplement company. The protein tasting website Labdoor rates both of these among their top ten whey proteins for purity. 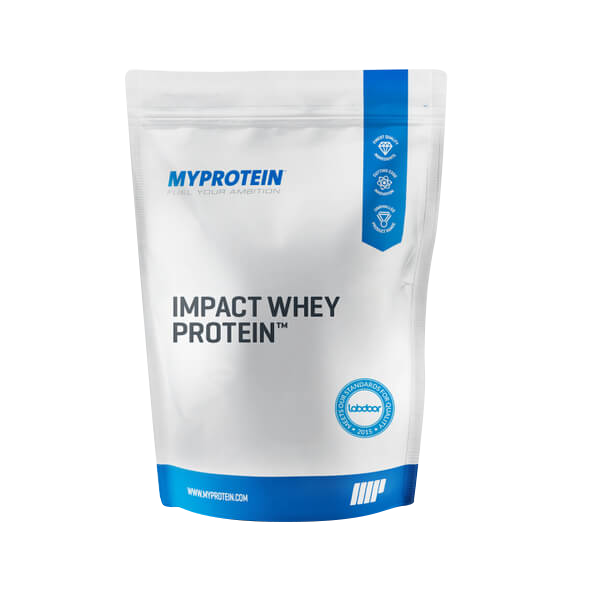 Myprotein keeps things simple by offering only a few select products such at the Impact Whey Protein Blend, the Impact Whey Isolate Protein, and Creatine Monohydrate. By only offering a few select products they keep things simple and of high quality. Today we will be looking at their two protein products: The Whey Protein Blend and the Whey Isolate. 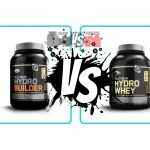 To really understand the difference between the two you will need to know the main differences between whey protein concentrate and whey protein isolate. Keep reading to find out those key differences later in the article. First, let’s look at the Impact Whey Protein Blend. The Whey Protein Blend is a very simple and basic whey protein. The protein blend itself is 80% protein per serving, and has minimal additional ingredients. Some of the flavors also have a small amount of salt or coloring in them. The presence of the artificial sweeteners sucralose and acesulfame K might alarm some people. There isn’t conclusive evidence that these ingredients affect human health, especially in the low amounts used. Additionally, Labdoor finds Impact Whey Protein Blend has below the accepted amount of heavy metals in the protein itself (something you’d be surprised is harder to come by than you hoped). The flavors vary from the typical cookies and cream to strawberry. There’s also an unflavored option for those who can’t eat artificial sweeteners or don’t like the taste. The best flavor we’ve tried so far is the chocolate (hard to ever go wrong with a chocolate protein!). It mixes well in water or different milks (regular and almond). But it can clump faster than we’d like if you don’t mix it fast. The Whey Protein Blend is low in fat and carbs, but does have some of both. For a typical gym goer these are great nutritional numbers. For a advanced level or elite bodybuilder, you may want something with more protein, or less carbs and fat depending on your current goals. Although there is some Whey protein isolate in the above Whey Protein Concentrate (16% to be exact) there are some pretty big differences between the blend and the full on Whey Protein Isolate from Myprotein. For starters, it’s 90% Whey Protein Isolate. According to Labdoor, it’s Grade-A Whey Protein Isolate from grass-fed whey. That’s about as top-shelf as whey protein comes. Although the Whey Protein Blend above hads acefulmate K, it didn’t appear to come up in any ingredients for the Impact Whey Isolate. Taste-wise Whey Isolates typically taste better than hydrolyzed whey and slightly less tasty than whey concentrates. This is due in part to the higher fat levels and the process the different types of whey go through. But Impact Whey Isolate is definitely very good tasting. There are also many more varied flavors to choose from compared to the whey blend. Some good choices are the Cinnamon Roll and Coffee Caramel flavors. For mixability, the whey isolate mixes very well in water, milk, or almond milk, It doesn’t clump up and is easily shaken up or blended. 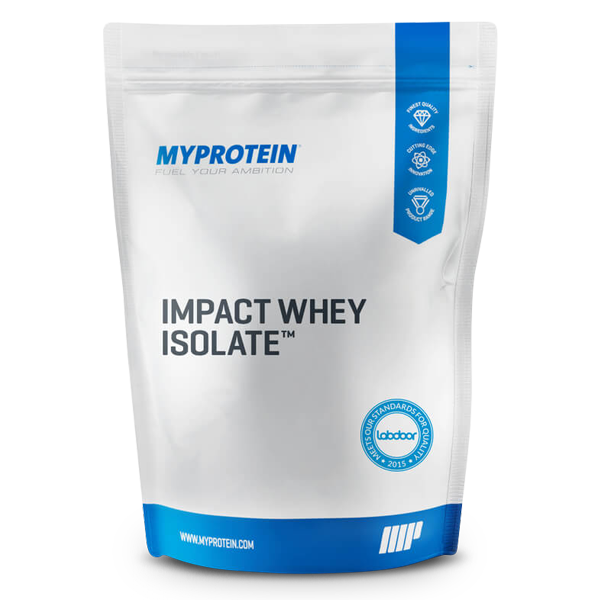 The Whey Isolate has a much leaner profile than the Concentrate Blend. These are a great set of nutritional numbers if you are looking to lean down or want less carbs or fat in your high quality protein. Impact Whey Protein Blend and Impact Whey Isolate are both similar products with a wide gap between them. First, whey concentrate is simply a “lower-grade” compared to whey isolate. 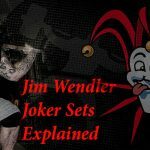 It isn’t as pure and will always have more carbs and fats than a whey isolate counterpart. But that doesn’t make the Whey Concentrate Blend BAD by any means. They have two different nutritional profiles and two different purity profiles. But if you’re a beginner you will most likely see similar results using either one of these whey proteins. 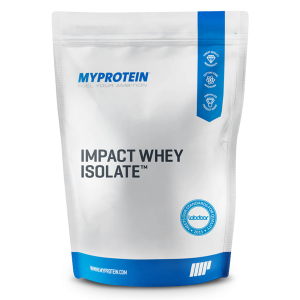 However, whey isolate is more easily digested in general. So, this is something to consider if you have stomach issues. Both are from the same reputable company and have been given high scores by the independent group Labdoor. The Whey Isolate is more expensive. But you get what you pay for and you WILL be getting the highest quality grass-fed protein on the market. 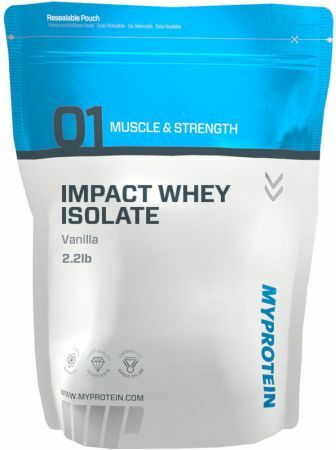 In the long run, if you’re a beginner try out the Impact Whey Protein Blend and eventually switch to the Whey Isolate. Your body will thank you, especially if you’re older. 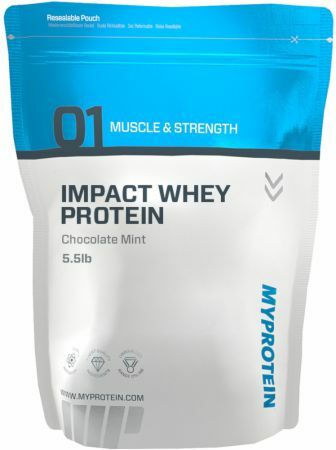 If you’re a more experienced lifter or athlete, or you want a high quality protein off the bat and don’t mind the price, get the Impact Whey Isolate. It’s a great premium protein that exceeds expectations. 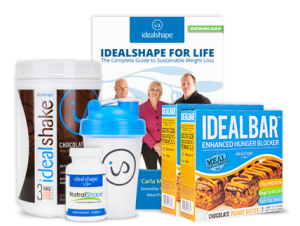 No frills, just great protein products. P.S. If you want to try out even more whey proteins check out our other reviews and comparisons below.